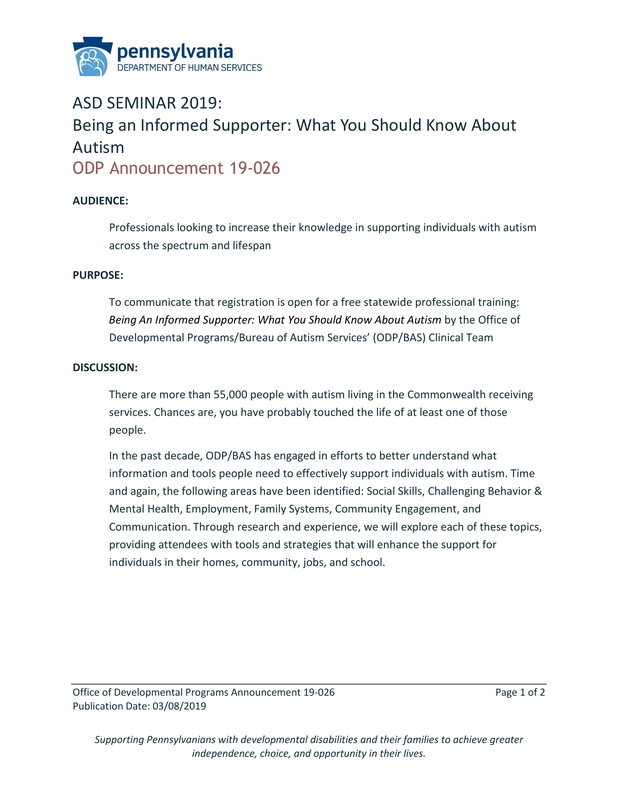 As a way to increase awareness, education, knowledge, and understanding during Autism Awareness month, the Office of Developmental Programs/Bureau of Autism Services’ (ODP/BAS) Clinical Team is offering free, statewide training on being an informed supporter of individuals with Autism Spectrum Disorder (ASD). Registration is now open for these sessions. Please read the attached announcement for details about locations, dates, and registration link. There is no cost to attend the training, but pre-registration is required.